NOMS DE GUERRE by Jacqueline E. Lawton will receive a workshop and reading as part of The Pasadena Playhouse's 2014-2015 HOTHOUSE New Play Development Program. NOMS DE GUERRE will be engaged in the HOTHOUSE process from September 22 - 25, 2014. Diane Rodriguez will serve as the Director of this HOTHOUSE project. HOTHOUSE readings are by invitation only. Click here for more information. HOTHOUSE is the signature new play development program at The Pasadena Playhouse. Launched in 2005, the program provides playwrights and audience with a living lab where new scripts are rehearsed, read aloud, revised, rehearsed and read again. Co-creation through our consensus organizing methodology, experimentation with and exploration of text, music and movement, and artistic bravery are embraced and encouraged through our process. Under the leadership of Associate Artistic Director Seema Sueko, starting in 2014, the HOTHOUSE reading series will be devoted to advancing plays that authentically align with The Playhouse’s commitment to diversity. We will focus on plays written by playwrights who are historically underrepresented in our field: women, playwrights of color, and playwrights with disabilities; or plays that, through content and/or casting, deliberately diversify the landscape of the theatre. As our field of nonprofit American theater struggles with issues of inclusion, access, community demand, and relevance, HOTHOUSE aims to methodically make our theatrical botanical garden grow. Many plays that started out as HOTHOUSE at The Playhouse readings have since gone on to our Mainstage, as well as other regional theaters, the West End, and Broadway, including SISTER ACT, THE MUSICAL, which was nominated for multiple Tony Awards. Previous HOTHOUSE at The Playhouse artists include writers Suzan-Lori Parks, Alan Menken, Matthew Lombardo, Charles Randolph-Wright and Carol Burnett; actors Beau Bridges, Sharon Lawrence, Robert Forster, Loretta Swit, Scott Lowell, Enrico Colantoni, Danny Pudi, Angela Bassett and Steven Dietz; and directors Art Manke, Sheldon Epps, Oz Scott, Jeremy Cohen, Kappy Kilburn, Alexis Chamow and David Lee. Diane Rodriguez is an Obie Award winning multi-disciplinary theatre artist. She is an accomplished actor, anthologized writer, regional theatre director and Associate Producer/Director of New Play Production at Center Theatre Group (CTG), Los Angeles. She began her career as a lead actress with the seminal ensemble, El Teatro Campesino. 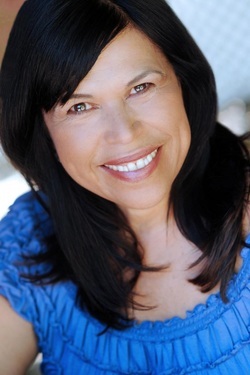 Recognized as one of the country's leading advocates for non-text based and ensemble driven work as well as a long time advocate of Latino playwrights and actors, Diane maintains her artistic career while being a member of the artistic staff of Center Theatre Group, which includes the Mark Taper Forum, the Ahmanson Theatre and the Kirk Douglas Theatre. Currently, under her tenure as Director of New Play Production (NPP), CTG's NPP program was awarded a one million dollar grant from the Andrew W. Mellon Foundation for the commissioning and development of seven new collaborative works from ensembles or creative collaborators. She has developed and directed the works of numerous writers including Nilo Cruz's Hortensia and the Museum of Dreams andDreams of My Father, Lynn Nottage's Fabulation at Sundance Theatre Lab, Lloyd Suh's American Hwangap at Ojai Playwrights Conference, Erik Patterson's Sick for Playwrights Arena, and Les Thomas'Cave Quest for East West Players, among many others. In 2008, for Mattel Toy Company, she wrote the book and was the supervising director for the first live Barbie musical Barbie Live/The Princess Adventures. The show premiered in Buenos Aires and will tour Brazil in 2012. She won an OBIE for Performance (Best Ensemble) in 2007 for playing 23 characters in Heather Woodbury's Tale of Two Cities. In 2012 her two plays, Living Large in a Mini Kind of Way and Pitch like a Girl will be produced in Chicago and Los Angeles, respectively. With Mark Murphy and Mark Russell she co-directed the RADAR LA Festival in 2011. She lives in the Echo Park area of Los Angeles with her long time husband, friend and advisor, Jose Delgado.